Eat Sushi, a new bar serving fish, ramen and rice bowls, has recently opened in SoMa at 1516 Folsom St. (between 11th and 12th streets). The new arrival serves up a wide range of appetizers, including seafood poke salad ($8) and Japanese wings ($6). The dinner menu includes a selection of rice bowls and ramen, plus an assortment of sushi rolls like spicy tuna with avocado and cucumber ($6.95), dragon rolls ($12.95), and a Daisy roll (escolar, avocado, onion and soy pepper) for $10.95. With a five-star rating out of 12 reviews on Yelp so far, the fresh addition has been warmly received by patrons. 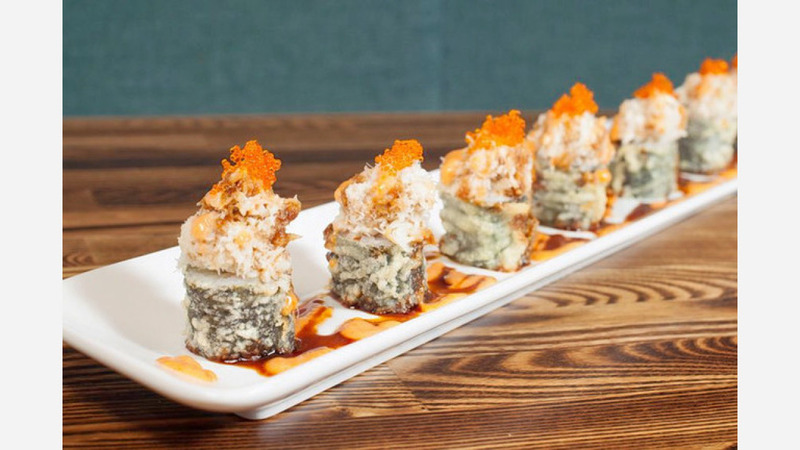 "I ordered a dragon roll and an escolar nigiri, which were both very good." wrote Yelper Jeff D. "My friend ordered the pork ramen and halibut nigiri, which she enjoyed as well. The decor is not overly lavish, but still quite nice. They also had a very interesting playlist with remixes of popular songs." Yelper Greg K. added, "What a pleasant surprise and welcome addition to the neighborhood. We had a fantastic meal here and found the prices very reasonable, including drinks." Eat Sushi is open from 11:30 a.m.-2:30 p.m. and 5 p.m.-10 p.m. on weekdays, 6 p.m.-11 p.m. on Saturday, and 6 p.m.-10 p.m. on Sunday.